It is amazing how much a child can grow in a few short months–both in size and in personality. 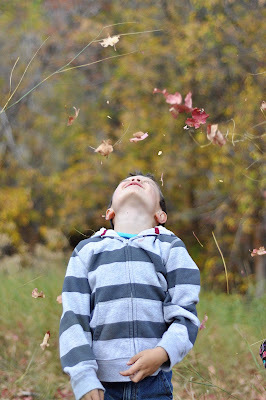 Three months ago, I was looking at the end of his life before starting full day school. It is incredible to reflect on how much he has matured in his first few months of being a first-grader. His first grade teachers expect a lot out of these little people. They expect them to be quite independent and capable of doing a lot for themselves. These children rise to the expectations. The addition of full day school to our lives has really changed the dynamic of life at home for Brayden and things we have been doing for years and years–pretty much his whole life. Night sleep is the same. In bed between 8-8:30 PM. Up at 7:00 AM. But rest time is mostly gone from his life. No rest time on week days. We don’t do it on Saturday, either. We only require rest time on Sunday. It is a day of rest, so we have him do rest time on that day. The boy is eating like I can’t believe. A few weeks ago, the family stopped for Subway. Brayden loves Subway. We got him a footlong, and yes, he ate the whole thing! The entire footlong. I didn’t even do that. He is hungry, hungry, hungry. All I can say is, wow, what will it be like when he is a teenage boy? Brayden has always been an impressive food eater. If you read the solids posts, you will get a feel for what he ate as a baby. But as a toddler, he did the textbook eat very little thing. When he goes through growth spurts now, his eating is just incredible because it passes up what an adult eats. Speaking of growth spurts, there have been a couple of nights when Brayden is complaining about pains in his limbs. I immediately heard my grandmother’s voice talking about “growing pains.” I need to look into it to see if this is legitimate or if is one of those things you hear from grandma…either way, he was in pain, he was eating a lot, and his school pants I bought way too big are almost too small now. Playing is another huge thing that is different at home now. He gets home from school, sits on the couch while I painstakingly drag information about his day from him, then he does his homework, practices his piano, then he and Kaitlyn play video games with each other for a bit. Then we have dinner and family time. He has independent play only on days he does not have school. Brayden is doing very well in school. His teacher tells me how much she enjoys him and that he is “seriously one of her very favorite students.” He is a good student behaviorally, obedient, and willing to help. He also is a good student academically. His teacher tells me how he thinks about things in such a different level from most first graders. I love to go help in his class. You might think that when you help in class, your child would alter their behavior since you are there–and maybe some kids do that–but they seem to forget you are there after a bit and you can really observe how the child is in a classroom setting. You also get to see what other students are like so you can know who the child is talking about (and, um, encourage and discourage certain friendships). You also get to talk to the teacher a whole lot more than you do in a teacher’s conference. I am already thinking about how to balance my time among my children as more get added to school. I am also one of the room moms for his class, so it gives me extra time to be in the classroom. Helping in the class is so valuable to your child and of course to other children in the class. Most teachers love the extra help. Brayden is super sweet. He is amazingly good with little children. He is great with McKenna. At one of our Thanksgiving meals (yeah, we had three), he noticed he was the oldest child there and that there were several young children (all about McKenna’s age). He said he would have to play with them and help keep them happy. He was so cute with the little kids. Of course Brayden is not perfect. Something we are working on with him right now is to not tell people when they are wrong. He is a very smart person and also a very strict rule-follower. Those two things combined lead to him feeling some duty to correct people when they are wrong. We are really trying to impress it upon him that it is not his job to correct people and that people don’t like being constantly corrected. My hope is we can get it through to him before a peer group does it, but sometimes it takes a group of peers telling you to knock it off to get the point across to you. Without question, the favorite toy right now is Legos. Legos, legos, legos. Brayden even saved up his money for almost a year to buy a Lego toy he wanted. While lots of children have read Harry Potter as young children, I know book four gets pretty dark. Because of that, I have been making sure his time between books is spread out. We started the first book about a year ago and are currently on book 3. We read lots of books between each Potter book. A nice thing is that when reading, your imagination controls what you see–unlike seeing it on TV. Anyway, I figure if children survived at least a year between each book release when the books were coming out, he can survive reading them slowly so his grows in maturity between books. Right now, the only activity we do outside of school is piano lessons. Two families at my church with boys in the 4-10 year old age range were just comparing notes last Sunday about nighttime "growing pains" in their boys. As far as I can tell, it is legit. I wonder if having them do some stretches would help? My son is almost 4 and hasn't complained of these yet, but when he does, that's probably what I will try first. I personally remember growing pains – so does my Father. I remember it being a dull, constant ache. Not fun! I also had growing pains in my legs when I was a kid. I don't remember how old I was, but I think I we older, more like 9 or 10. My mom always told me to stretch and I remember it didn't help very much. About the growing pains, my husband had them bad as a child, and our 4-1/2-year-old girl has had them for about two years. Not every night, but at least once a a week and sometimes more often. Sometimes they hurt so much that they wake her in the night and she will cry. We try to have her drink plenty of water during the day; dehydration makes them worse. And sometimes we give her pain medication. She gets them bad enough to warrant it. I had growing pains, although we just called them leg aches when I was growing up. I was 6-10 and it seemed like they usually happened at night. Rubbing my legs and also using a heating pad seemed to help some, but I remember them hurting bad enough to cry too. Both of my boys have growing pains! I didn't know it was a real thing until a friend mentioned it a couple years ago. William (age 7) has had them for a couple years and Lucas (age 4) just started getting them. I thought William got them because of his height (he's tall), but Lucas is short and he gets them, so that blows that theory out of the water.Thanks for bringing up the point about correcting other people's wrongs. William does this all the time and I hadn't really thought to correct him for it! Thanks for all the growing pains tips, ladies! We have had some at our house but I wasn't sure if he was just trying to get out of something or not.Valerie, that is really interesting that you're pausing between Harry Potter books. We are doing the same thing for the very same reason. My husband read Book 1 with him and then they watched the first movie. That alone was intense for Xander, so we paused quite a long time. Now we are slowly going through Book 2. Not only do the books get darker, but of course the movies will be more intense X 100 for a little boy. I heard recently that growing pains can be caused by a calcium deficiency. I haven't researched it, so I'm not positive, but that was fresh on my mind so I thought I'd share… maybe bulk up on the green veggies. Certainly can't hurt anything. DD1 is to start kinder this fall. I was so excited as it is half-day up north where we moved! So I thought it was great as she goes to prek 2 mornings a week, then I figured half-day kinder 5 days a week and of course full day in 1st grade. So I really thought the half-day kinder was a good transition. BUT I just found out that the state passed a law for mandatory full-day kinder or the schools lose some funding, so of course all the school districts are now going to be full day! I am quite upset about it. In part because I think it really, truly is a long day for a 5 YO. Also in part for selfish reasons as I thought I'd have more time with her for another year. School is out past 3 so it will be late by the time she gets home, probably not much before 4! That is hardly any time for us and to play with her sisters,etc. Like I said I knew it was coming but I was mentally prepared for 1st grade. What are your thoughts? I know you had half-day kinder. There are some private school options for half-day kinder and transfer then to public for 1st grade but of course these all cost money! And the public school is obviously free. So what do you think? I know a lot of moms who work love it and a lot of kids who were in daycare full-tine, it's not a transition at all. But I think it will be a big adjustment for sure. How would Brayden have done at 5? Any thoughts on this one way or the other? Thanks! Ugh I am so sorry! I think, unfortunately, that is a road every one of us will get to at some point. I plan to fight it hard in my state, but I don't know how much support I will get. I know a healthy portion of people are stay at home moms who think that is too long, but I will be up against teachers (the union–nothing against teachers, I love them, but the union is a powerful force) and working parents. Anyway, I haven't really thought through what I would do for sure. I do think it is a long day for a five year old. I think Brayden would have been fine–but I do fully believe it was best that he was home half of the day. If they do move to full day here, I will for sure consider options of a charter school (if they do half) and also even consider homeschooling for kindergarten. I just really think that it is so valuable for the child to have mom's extra influence for that year. The child comes home with "so and so was mean" and you talk about it. Coming home at 4 is late and is a hectic point in the day. But I think if that is what you have to do, you can make the effort to make it work. So sorry you are facing this! I hope I never join you. Just thought I'd let you know that my 4.25yo son had growing pains last night for the first time (thankfully he waited until morning to tell me he'd been awake in the night because his "whole leg hurt"). Did you ever find anything that consistently helped?